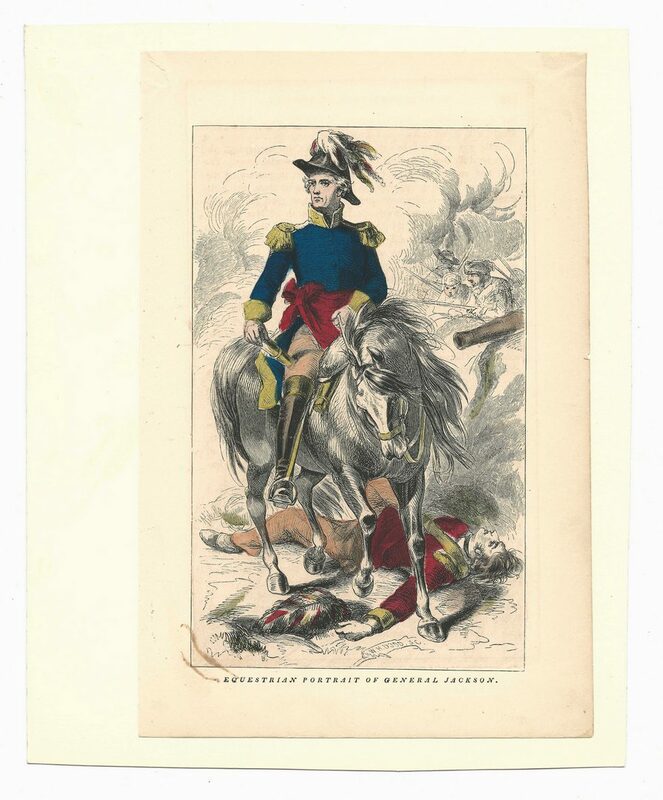 3 items related to President Andrew Jackson and the Creek Indian War. 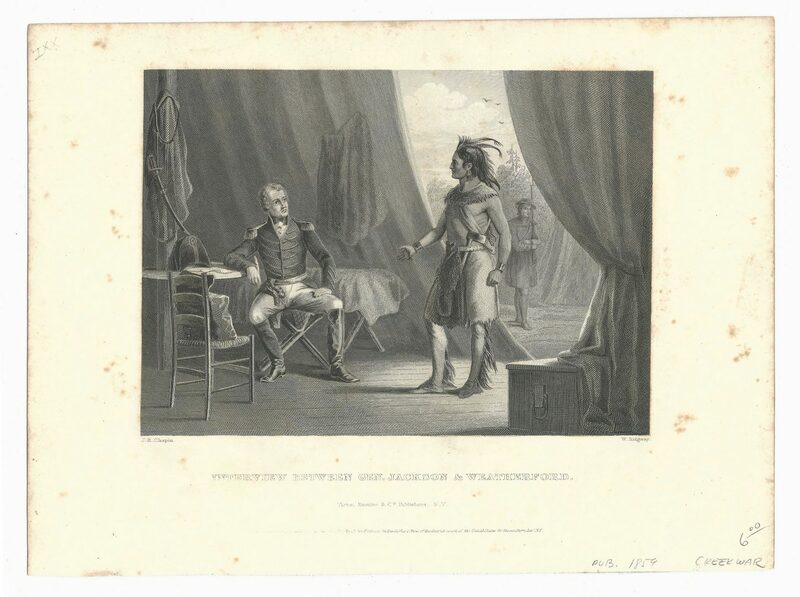 Includes an 1859 engraving Interview between General Jackson and Creek Indian Chief William Weatherford, by J.R. Chapin/ W. Ridgway, 8 1/8" x 11" (foxing and toning); Equestrian Portrait of General Jackson, signed W.H. 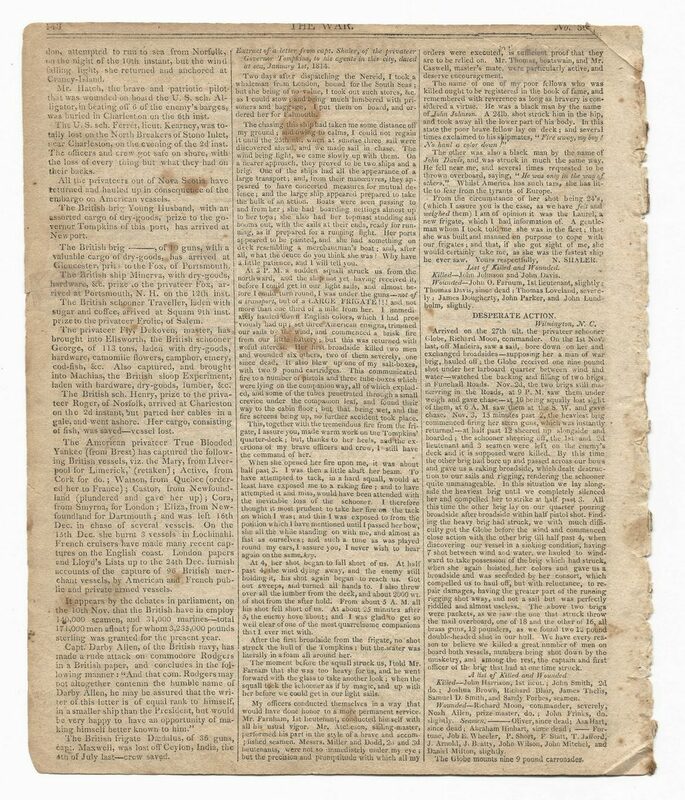 Dodd in plate, 8 7/8" x 5 7/8", (adhesive mounted to cardstock at top 2 corners, one has torn loose, 1" area of staining lower left); and a newspaper, THE WAR, dated Feb. 22, 1814, detailing victories over the Creek Indians at Fort Claiborne in Alabama and Camp Defiance, Failure Of Our Arms On The Northern Frontier, and other articles related to the Creek War and War of 1812. 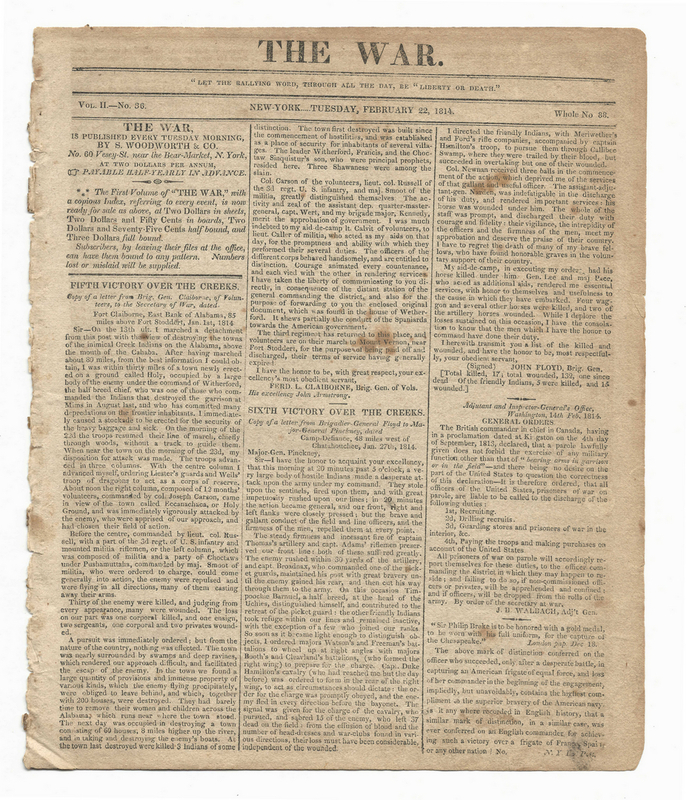 2 pages front and back, 10 3/4" x 9" (toning and foxing, fragile binding, losses to top edge of page 2). CONDITION: See item description.